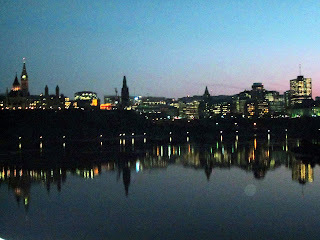 The Ottawa River was so still recently, one calm chilly November evening as I was walking back to Ottawa from Gatineau. 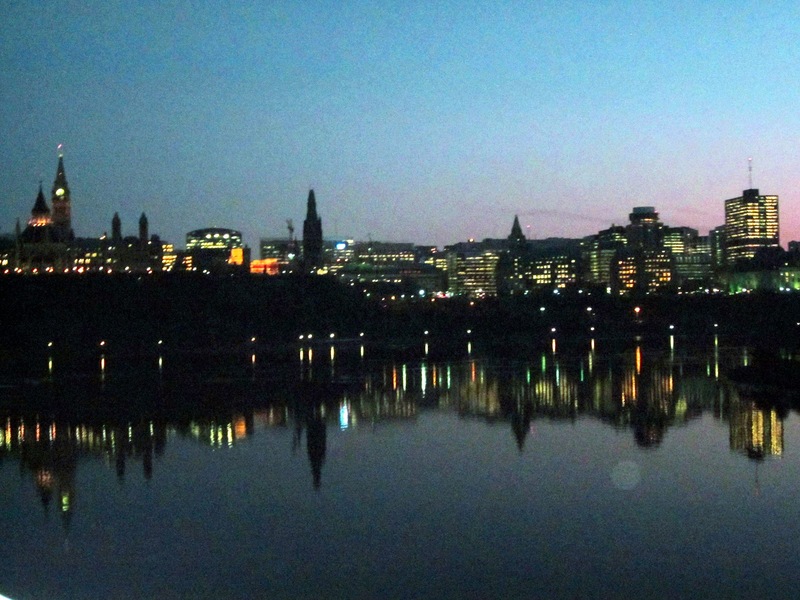 The city had a perfect mirror image in the water. Perhaps the cold made the water clearer and more reflective, like an icy glass sheet. Incidentally, like other bloggers who have been told they have run out of storage space, I decided to bite the bullet and pay so I could continue this blog. I hope to come up with some new ideas soon. Thanks to everyone who encouraged me to keep it going. What a pretty photo! I'm glad you're going to keep going! I'm happy too. I figured I'd bite the bullet and pay. I've gotten a lot for free up till now. And...now we get to enjoy your photos and all your adventures. Yippee! I'm also glad to hear that your blog will continue! I enjoy seeing your beautiful photos every week, and imagining that I'm there walking around with you! Great photo of the lights. I've been trying Wordpress but I'm missing Blogger and wondering if I will end up paying as well.